DIY Golf Cart carries the most popular golf cart lift kits on the market. We have been in the industry long enough to know which Club Car lift kit will work best on your golf cart. Most, if not all, of our Club Car golf cart lift kits are Made in the USA by Jakes. 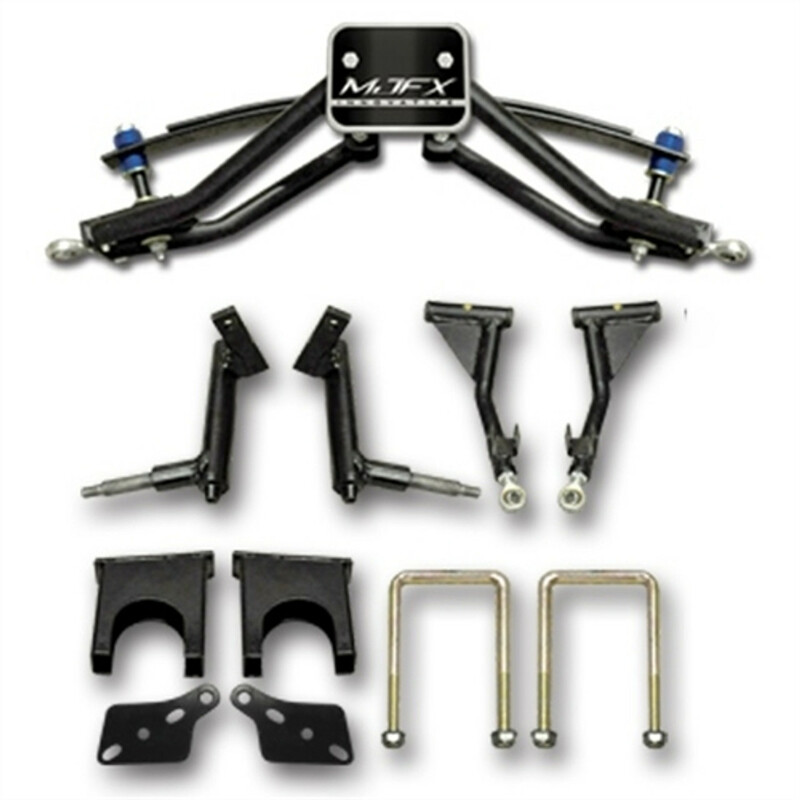 We also carry lifts kits manufactured by Madjax and RHOX. These manufactures maintain quality at a fraction of the costs. We carry the finest lifts for Club Car DS and Precedent golf carts. 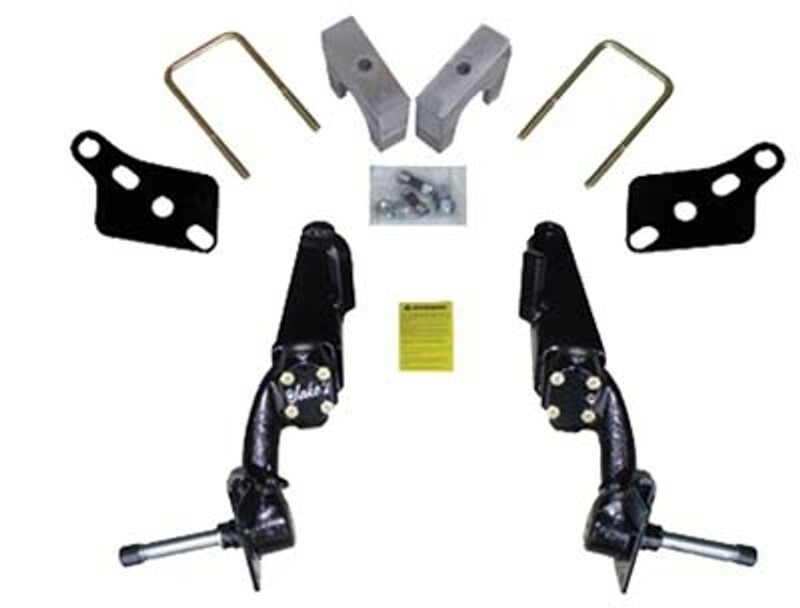 We carry an extremely large selection of Club Car golf cart lift kits for DS and Precedent golf carts. We have a spindle lift kit, axle lift kit, long travel lift kit, or A-Arm lift kit that will definitely fit your Club Car golf car. Gas and electric kits are available to raise your golf cart to new HEIGHTS! Most of the kits ship for free in the USA! 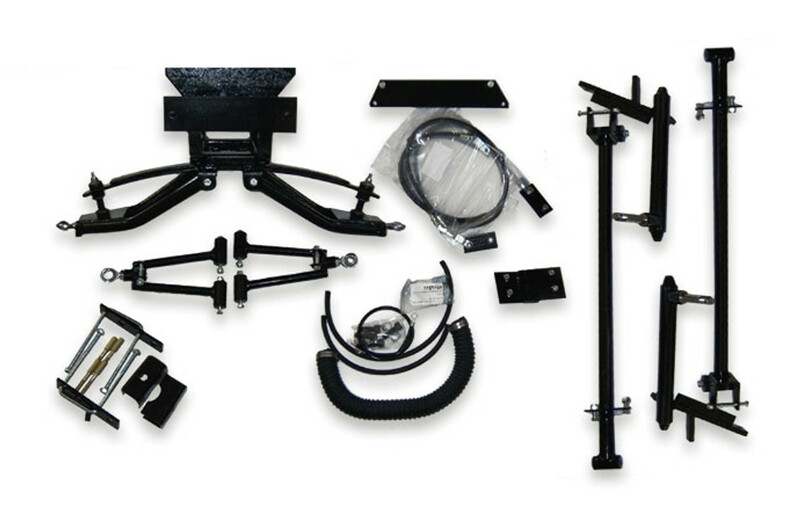 Whether you are looking for a 3 inch spindle kit, 5 inch axle lift kit, 6 inch spindle lift, or an adjustable Jake's long travel Club Car lift kit; DIY golf cart has you covered. Most of these Club Car golf cart lift kits bolt on without any cutting, welding, or drilling required.